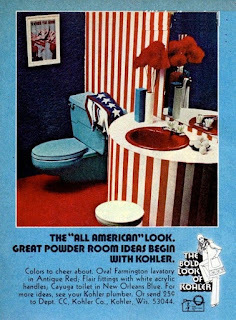 At the conclusion of our week-long celebration of independence in design, here's a look at a patriotic powder room from the early 1970s. 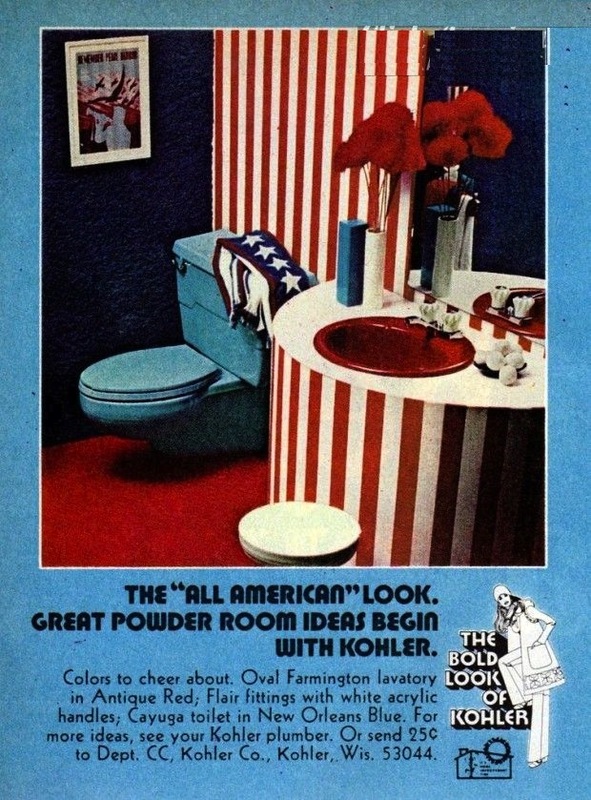 The colors of the fixtures had a limited run: New Orleans Blue was available from 1969 through 1984, and Antique Red more than doubled that span, notching up 31 years of production, from 1965 through 1996. Something to think about, in these days where a vibrant democracy can't be taken for granted.